Twitter's shares were up as much as 22% this morning as rumors circulate that the social media company is about to be purchased. Unnamed sources say that the company has received indications of interest in a deal from multiple media or tech companies. Among the leading candidates at the moment are Google and Salesforce. According to Wall Street analysts, Twitter is being pursued not only for its social media capabilities, but also for the data that is generated by subscribers. Twitter has just started its first season of live streaming NFL Thursday Night Football, which got off to a successful and widely praised start last week. Twitter also owns Periscope, the app that allows users to live stream to Twitter followers via the cameras on their mobile device. The company's stock has been floundering after coming public on November 6th, 2013 at $26 a share. While the stock traded as high as $50.09 on that date, weak ad revenue has hurt the shares since then. Twitter currently has a market capitalization of $15.5 billion. Considering that most takeovers are done at a premium (except in the most dire situations), it could take $20 billion or more to buy Twitter. On December 26th, 2013 Twitter had a valuation of nearly $40 billion. The company's shares are currently trading at $22.14, up $3.51 for the day. hope it doesn't happens because we don't want a ad company to spy on our account. I stopped using social media awhile ago...I get more than enough drama just by visiting PA's website lol. Martineverst everytime you see anything to do with Google your are all over the articles to cut up Google. Yet Salesforce is all over this, and Microsoft has a huge stake in Salesforce, even though they didn't buy Salesforce. So it's really Google and indirectly Microsoft. I know you are a Microsoft guy, and you to show that. 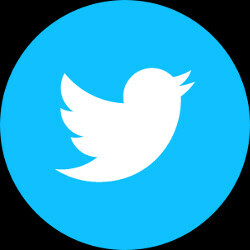 We all know that Twitter has a lot of life in it, especially all the news and broadcasting corps are heavily invested in Twitter. Not to mention celebrities, sports and more are invested in Twitter as well. So any company who knows what they are doing, can make a ton of money in the long run from Twitter. Besides Twitter is mainly used on smartphones. Something that Microsoft is still struggling with. Google isn't capable of operating a social network. If microsoft buy twitter, they will screw it up so hard we'll not even remember twitter ever existed. Hahaha That's true. Microsoft is great in screwing things. Microsoft already has a major stake in Salesforce. They were looking to buy Salesforce, but instead Microsoft has a huge investment and stake in Salesforce. So yes, this is already between Google and indirectly Microsoft. Microsoft has literally become the scroogler they advertised against back in the days...I'm really missing the Microsoft Ballmer created. Anyone else, but this two companies. Google is like the child that takes on many projects, and never finishes any of them, and MS is like the one always messing up or dropping things.